Fluid Gauge Company was established in 1932 as a Stocking Wholesale Distributor of Power, Marine & Industrial Engineering Specialties. Fluid Gauge Company is in its fourth generation of family ownership. All of our employees hold fast to the original tradition of supplying the finest quality products available combined with unparalleled customer service. We treat our customers with respect and concern while providing superior products and system knowledge. Fluid Gauge Company has expanded its product line to accommodate for changes in the industries we serve. We are a diversified wholesale distributor of quality products for the gas & power industry, pharmaceutical facilities, municipalities, food processing plants, the marine industry, wineries and many more. Distributing branded wholesale merchandise to our loyal customers in the Boiler, Control & Process Piping Industries. Differentiating ourselves by providing the best customer service. Valuing long-term relationships with our customers and suppliers. Maintaining a vision towards the future by positioning ourselves to take the lead with industry and technology changes. 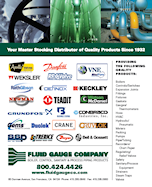 Fluid Gauge Company is an Authorized Instrumentation Stocking Distributor for SSP Fittings and Valves. SSP manufactures fluid instrumentation products that meet all industry standards while significantly improving the user installation and replacement process. 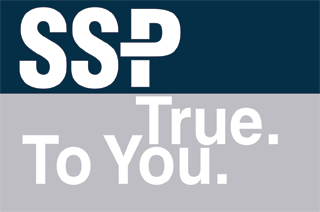 All SSP products are Made in the USA. Please contact us for price and stock availability. Fluid Gauge Company is pleased to announce we are the Apollo Valve & Actuation Master Distributor for Northern California. Please contact Fluid Gauge Company for all your Apollo Ball & Butterfly Valve Actuation requirements. © Fluid Gauge Co.. All Rights Reserved.